Metal tail comb. 10" long. Tail Comb 257B (10"). 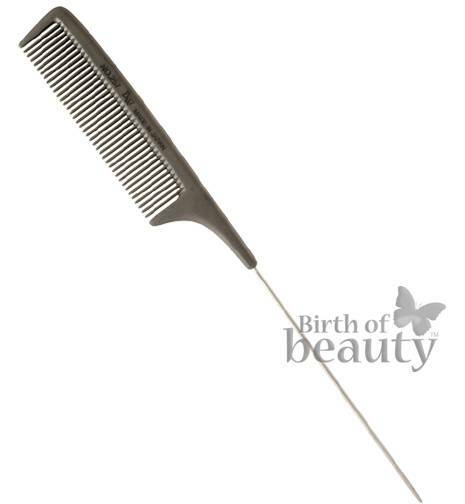 A Carbon Comb is completely anti-static, so it does not tangle the hair. The teeth are incredibly smooth so they easily move through the hair. The Carbon combs are heat resistant, can be sterilised by boiling and also used with a dryer. The 257 comb is a tail comb which can used for sectioning. The 257B has a slihgly longer metal tail.